Toronto’s Metro Toronto Convention Centre has become the home for the interior design this year. You wanna know what happened? 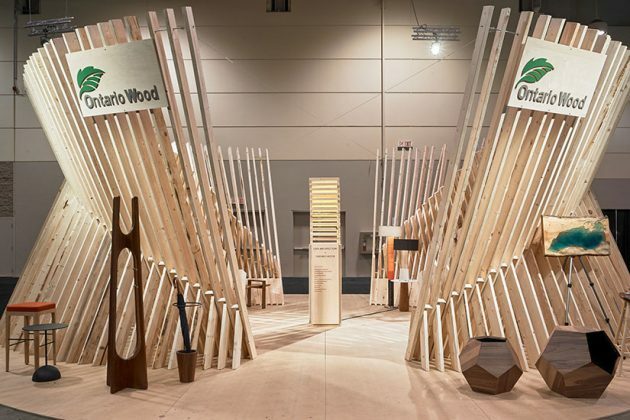 Thanks to the Interior Design Show (IDS) we had the chance to see all the 2019 trends. The magic happened in the world of decor, at the moment going from calming spaces to stylish places were presented. The centre has been filled with so many new ideas in home decor, design inspiration, and re-imagined classics. From January 17 to 20 over 300 exhibitors took over the sprawling space and produced an inspirational mood. This multi-sensory event attracted some of the most influential people in the Canadian and global design worlds. And guess what? 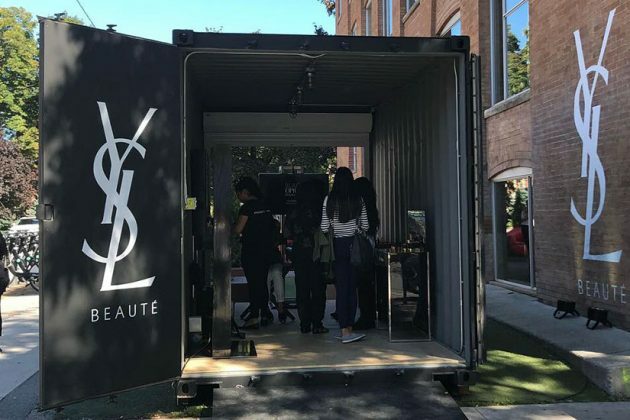 We weren’t surprised by the show’s exhibited trends that are here to stay, so believe us when we say it was fabulous artistry, like the lighting that can double as art, the sleek multi-functional outdoor kitchen, and the tech-infused everything was just one of the highlights. So, now we are about to share some of the other notable trends from IDS19 that were totally worth to see. When mindfulness finally found its own way in every aspect of our life, why it should be left out from design? Because there’s no such thing as divide this year there was an installation that got us in an instance. Yes, we are speaking about Vancouver’s Tangible Interaction. 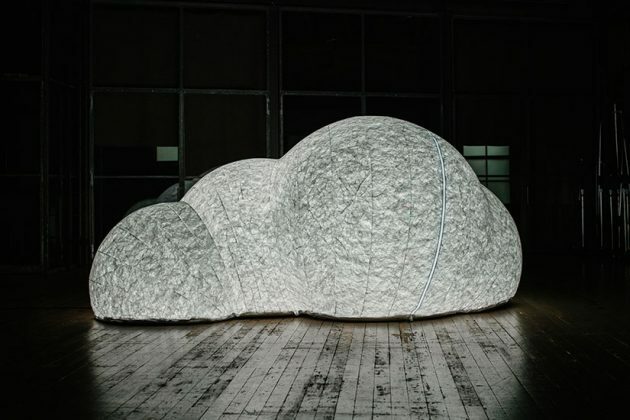 They presented an installation that featured their cloud-like Haven pods, and the guests were a part of the show. People were invited to step inside the dreamy pods for a tryout. The distraction-free moment away from the crowd brought mystery. It made us think that maybe you can recommend them to your boss, as they are a welcome addition to a backyard or office. You see, the pods are already conveniently available online. This cabin here proves that a summer home can be more attainable than you thought. The Backcountry Hut Company‘s Great Lakes Cabin has been constructed in 72 hours. So, it took just a few days and also has a minimal impact on the land. We know you are already interested to know what happens here. It has been made from 100 percent recyclable materials and it’s 670-square-foot. 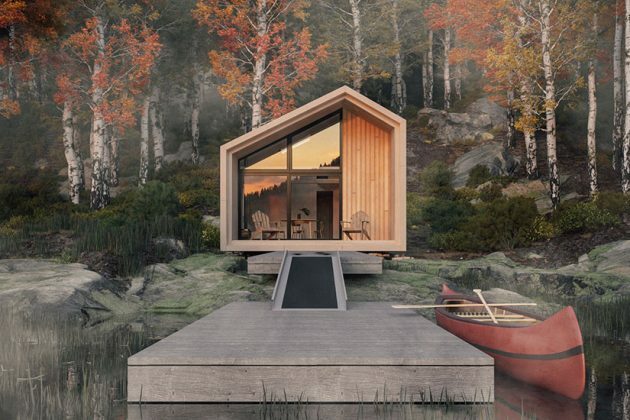 Also, it can be customized to Net Zero and Passive House standards so with this efficient design it houses a sleeping loft, living area, kitchen, and bathroom. As you can see the good use of the old-fashioned wood has been highlighted through intricate wood pavilion installation, so the Ontario Wood and Izen Architecture made this all happen so it was a great eye-catching moment. Inside, there were a lot of wood designs displayed from local markers, just like Sentinel coat stand from Objects and Ideas. Also, the walnut “Mod Pod” side tables from Rustix Studios made their own statement on the event. This year also was a new thing to witness the counter-tops and faucets at IDS. They made a departure from the typical stainless variety and made those subtle white sinks to disappear into counter-tops and black and white fixtures. 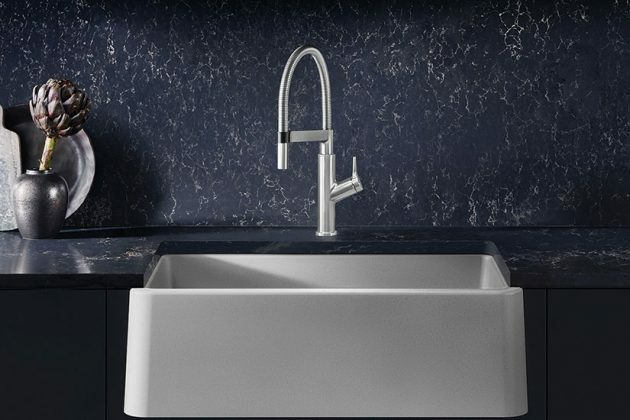 For example, Blanco Canada displayed their own crowd-pleasing posh faucet, with availability in white and Anthracite (black). All these innovative spaces took place as front and centre at IDS as part of the Re-Space show. What was interesting is that four different design studios created innovative small places within shipping containers. This kind of small spaces used to be unlikely called home an office, but now they are gaining popularity. And just by naming them as small living spaces and workplaces they become re-imagined and more acceptable. What do you think about this ongoing trend? 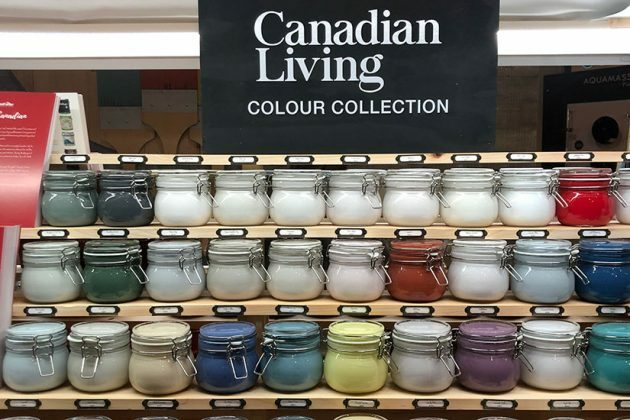 The first-ever paint collection of the Canadian Living Magazine with Beauti-Tone launched at the IDS. The name is very beautiful and dreamy, Coast-to-Coast Color Collection and is inspired by Canada’s stunning landscapes. Ann Marie Favot (Canadian Living’s Home and Style Director), who was instrumental in creating the collection said that for 2019 the earth tones will take center stage. She featured some of the most beautiful terracottas, buttery beiges and warm creams that can definitely work in any room in your house. Because dog beds are already pieces of furniture the quality design shouldn’t be just for humans. 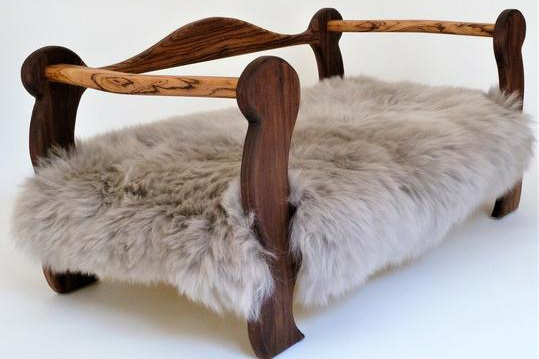 Slumber Wolf Dog Beds, the self-proclaimed makers of luxurious dog beds took things to the next level in the canine luxury department. You can see on the photo that these stylish dog beds feature hardwood frames, cozy sheepskin wool topper, and a cotton rope weave.